Since 1994, Stone Premonitions has assembled an impressive body of work, encompassing projects from the Stone Premonitions collective of musicians, as well as works from like minded stalwarts of the international underground. In an age when individuality is the exception, Stone Premonitions bands like Census of Hallucinations and The Rabbit's Hat have crafted a sound that is uniquely, and recognizably their own. Fusing elements of Progressive Rock, Psychedelia, Space Rock, Hard Rock, Pop, and numerous other genres, these artists excel at creating music that is challenging yet accessible, and ultimately defies categorization. Stone Premonitions enters the second decade of the new millennium with renewed optimism about their music and a new album, titled The Clowning Achievement. The album is being released under the band name Stone Premonitions 2010, as a representation of the current Stone Premonitions collective. Reviewing the credits of Census of Hallucinations and Rabbit's Hat albums reveals a rotating cast of talented musicians. The artists making up the collective is smaller now, but more focused on the direction of the music. In addition to Stone Premonitions veterans Tim Jones, Terri~B and Paddi, a new member has joined. David Hendry will be known to many as the man behind OHead, who since the late 1990s has released several outstanding albums of progressive influenced Space Rock. The Clowning Achievement consists of 8 songs and over an hour of music, with all the best elements that give Stone Premonitions their singularly distinctive style - Poignant lyrics, incomparable vocals, and music that Rocks, grooves and challenges the senses. The Rabbit's Hat and Census of Hallucinations sound is enhanced by the keyboard magic of David Hendry, who adds an exciting electronic and deep space edge to the music. As label co-founder Tim Jones says, "Dave Hendry has now joined the fold and is becoming an integral part of what we do. In the old days, Terri and I used to long for a keyboard wizard like Joie Hinton or Seaweed from The Ozrics, a technician that could produce the type of ambience we were looking for as a backdrop to the songs. Dave adds so much color to the musical pictures." 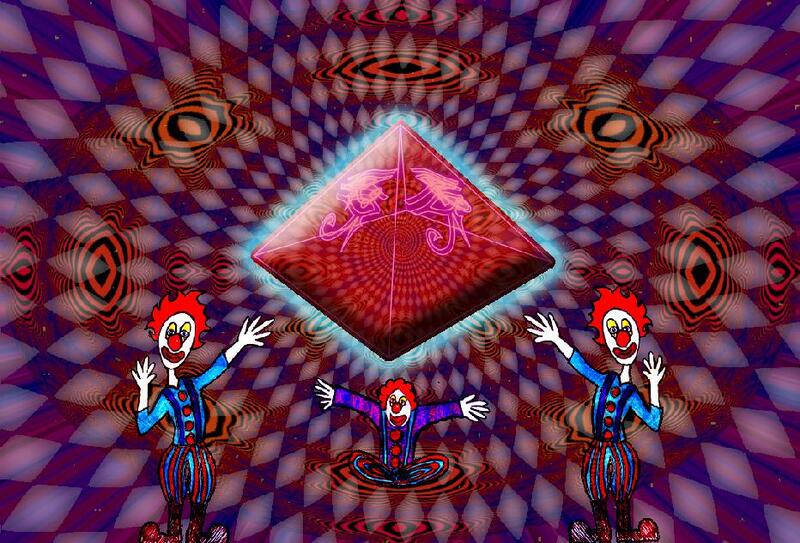 The Clowning Achievement represents a new era for Stone Premonitions, born out of a desire to seek a new direction. Climb aboard and open your mind.